The residents of Mallorca enjoy sitting around a table to enjoy a homemade Heirbas; a liquor made from local herbs such as anise. 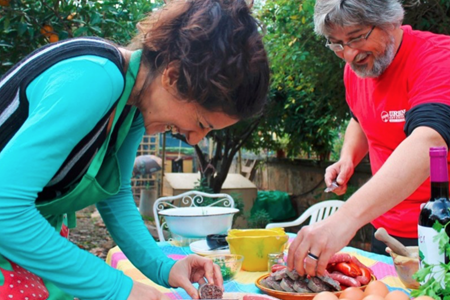 Perhaps you’ll love to come and learn how to make ... moreHeirbas like a local. That’s alright! 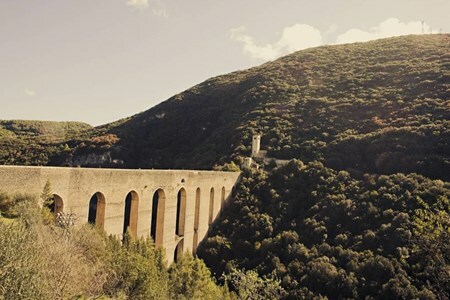 We’ll all meet at the Palma bus station and then proceed to the village of Epsorles; one of the scenic spots in the area. Here, will stroll around picking the herbs to make the Heirbas liquor. Some herbs are not easy to find. Hence, we’ll have to visit some locals and get the herbs from them. You’ll love the encounter with the locals in Mallorca. 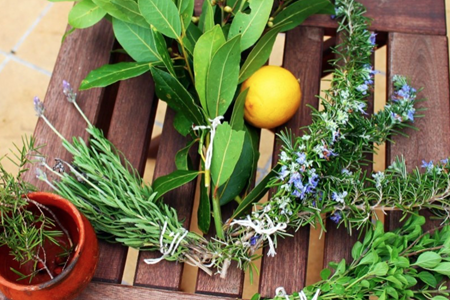 Upon getting the herbs, we’ll assemble on the guide’s patio to start the preparation. He’ll take you through the making process. Later, we’ll have some snack as we mingle and enjoy the sunset in Spain. Interestingly, the Heirbas won’t be ready yet. 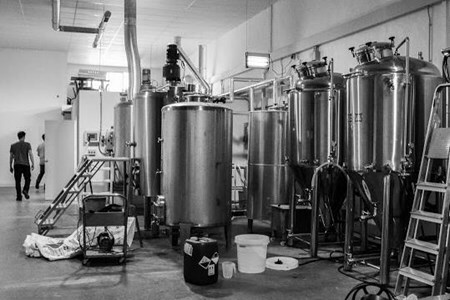 So you won’t taste what you’ve brewed just yet. However, you’ll have the opportunity to taste some that were earlier prepared and is now ready. As for your Heirbas, don’t worry. You’ll take it with you. You’ll need to allow it to ferment for at least three months. After that, call some friends and enjoy the Heirbas; just like a Mallorca local. 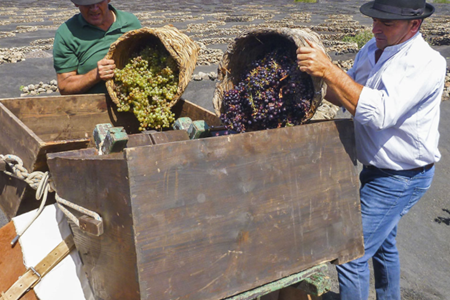 During the insider tour, we discover why the Lanzarote wine region is unique. We get enlightened on the techniques used in La Geria wine production as we go through the culture of this region. This wine region is a secured landscape. 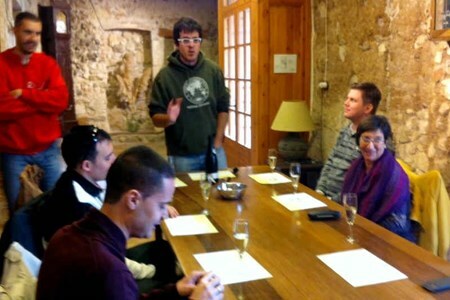 At every stage of the wine tasting tour, we learn by sharing knowledge about the wine. We also get to understand the strong culture and history of the people who developed the Lanzarote vineyards. Culture and geology perfectly blend with our Lanzarote wine tasting tour. This wine tour is exceptionally educational with a profound understanding of the exciting world of Lanzarote wine production. The wine production is associated with the geological background of the island. Getting to know the geography of the area will help you appreciate Lanzarote area. It is recommended that you bring a pair of walking shoes and a light jacket. Also, we advise that you take a full breakfast to be ready for wine tasting. 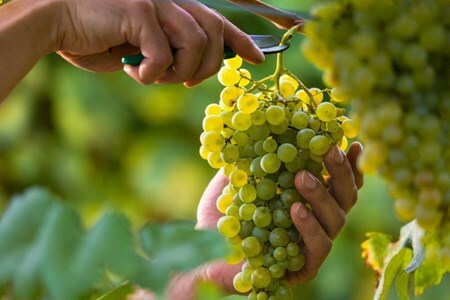 Perhaps you’ll want to visit a historical winery and experience the processes of wine production by joining the harvest. That’s alright! A visit to the estate in the Douro Demarcated ... moreRegion to see the process of creating wine is definitely worthwhile. You’ll love the experience and traditions around it not to mention the taste of the final blend. It’s fascinating! Our day begins in Porto, the unconquered city. We start the tour and point to the east, where the Douro awaits us. As we approach our Winery for the day we start seeing the beautiful vineyards that surround it. We finally arrive to the Wine Estate and start by visiting the Estate gardens. In the late morning we will have a wine and appetizers tasting assisted by the Oenologists of the Estate. Already with a bit of wine in our system to cheer us up, we go to the Vineyards to start the grape picking. Out here you need to earn your lunch, so only filled up baskets are accepted! The Douro is famous for still doing some of its wine by stomping by feet, so now it’s time for you contribute to the tradition: all to the lagar! All this activity probably made you thirsty so we step into the Sanctuary of Moscatel to discover this delicious nectar they’ve been making for more than 100 years. Because you did your job right, you’ll be awarded a delicious Douro Regional lunch paired with the Estate White and Red. To close our time at the Winery on a high note you’ll taste a sparkling wine made in the area. Then we get back in the car and drive down the road to visit two of the most beautiful viewing points of the region. On the way back to Porto we’ll drive next to the Douro river on one of the most beautiful roads of the Valley. Are you ready for the trip? Book Now! The tour starts with everyone converging at Plaza Espana. We’ll then proceed to a local market in the city that’s actually 60 years old. Here, we’ll shop for ingredients to use when ... moremaking some classic Mediterranean paella. Of course, the market is nice for a unique shopping experience; probably stroll around and even take pictures. Once done, we’ll take a bus to Sierra Tramuntana mountains; one of the scenic spots in the city. Here, you’ll meet Ramon- he’ll host you all through the learning process. Depending on the weather, you’ll either cook in his kitchen or his yard. 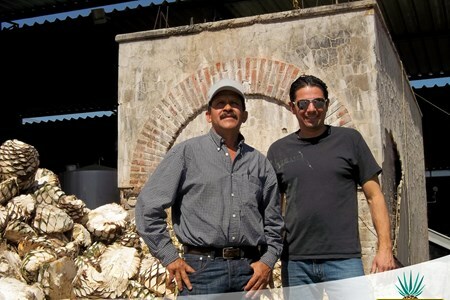 Ramon will take you through the whole cooking process; you’ll learn the history and secrets behind the local cuisine! Interestingly, you’ll even have an opportunity of taking some snacks, local tapas and pair with beer or soft drink. Well, the aroma of the paella will definitely tell it all! The best part will be to take the sumptuous paella we’ve prepared for lunch. Some local Mallorca wine will perfectly do. Later, some homemade dessert with coffee will ensure you’ve had a wonderful lunch. If you thought that’s all, you’re wrong. How about finishing the Mallorca way; a glass of Heirbas? You’ll love the whole experience! Later, you’ll take a bus, stroll around the city before ending the tour. We welcome you for a visit to two wine cellars stationed in the exquisite Penedes Wine and Cava country and become a winemaker for a day where you get to make your bottle of cava. ... moreCava is an originally Catalonia effervescent wine which is fine and delicate, equivalent or even superior to its sibling, the Champagne. On your visit to the first cellar, you will have the first-hand experience, and you will be dressed up with a coat, helmet and gloves to handle tools as an artisan when you embark on making our effervescent wine bottle of cava. You will be waking it from its long sleep, as you pull the cork out carefully avoiding spillage, and corking it back up using all the tools required and wrap it on your own. The second visit will take you to a wine cellar individually selected for its innovative Organic winemaking procedure, while you enjoy the most exceptional view of their organic vineyards nearby. This wine cellar was the pioneer natural wine cellar in Spain; it follows strict rules from planting all the way to harvest time. It also adheres to the organic winemaking guidelines. You will then be served a full three-course Catalan lunch at a local restaurant, operated for generations by the same family. If searching for a perfect Provençal adventure, join us as we experience a traditional French olive harvest. It is a tradition that has been done for centuries and its done both organically ... moreand by hand. We will harvest the olives during autumn, then relish a hearty Provençal apéritif with pâté, charcuterie, cheese and wine. Our modern, purpose-built kitchen is constructed from converted stables and is situated approximately 50 meters away from the banks of the Canal du Midi. Our cooking class offers valuable ... moreskills and straightforward tips on how to prepare traditional French cuisines with a modern twist! We hosts a maximum of 8 cooks where each participant will dice, chop, whisk and mix as they cook savory soufflés, quail, duck, guinea fowl, or fish, traditional French sauces and mouthwatering desserts. After the preparations we will enjoy an aperitif of local Rosé with some stylish canapés followed by the three-course lunch prepared during the class. We sit on a terrace beside the Canal under the iconic plane trees. Our seasonal menus are served with refreshing local wines expertly paired by a “Master of Languedoc wines”. You can check our sample menus on our website. We provide a “companions” lunch, prepared by the cooks, for those in the party who do not wish to participate in the cooking. As they wait for lunch, they can cycle or stroll along the Canal path; explore the adjacent wineries, or just relax in our canalside gardens. 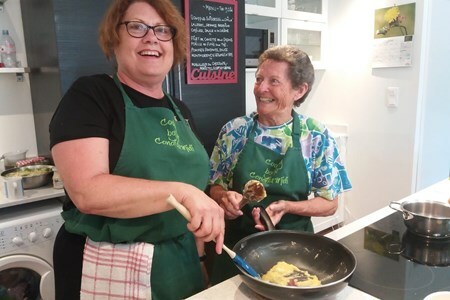 Our classic French Cooking Class is perfect for all ages and any level of cooking. Our youngest guest was only 9 years old and our oldest was 87! Our classes are on demand and we need a minimum of 4 guests to run a class. The class starts at 10:00 and ends at around 16:00. The charges for a traditional French cooking day is €110 per person, while a Companion’s lunch costs €40 per person. A boat mooring is available for guests who are cruising the Canal du Midi, bicycles can also be secured. 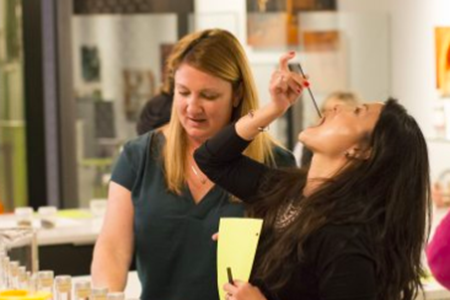 This one-day cooking classes experience, also offers diverse related activities like market tours, sketching, vineyard strolls, customized catering classes for all dietary needs, food and wine pairing, and tastings for groups. Prices will be provided on application. We invite you to come and join us on one of the best wine tours in Australia and experience the true taste of luxury. 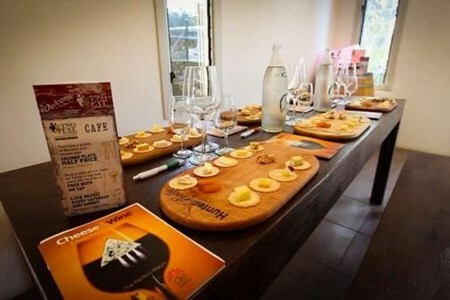 We have earned the trust of local chefs and winemakers, and we, ... moretherefore, guarantee to offer you a day of informative and unique experiences packed with fun. We have designed a personalized, educational tour, with a jolly approach. Our Food & Wine Lovers’ full day tour experience is one of the best wine tours in the region. You will be picked up from your accommodation in our luxury van, to begin your day at Peterson Champagne House, with an exclusive tasting of sparkling white and red wines, accompanied by brunch. Afterward, we will take you on a scenic drive to one of the Hunter Valleys premium boutique wineries for a tour of the winery, its bottling line as well as the barrel room. Here you will get a chance to taste the premium wine. You will be required to wear enclosed footwear while in the winery. You will then don your winemaker’s cap, as you try your hand at winemaking. You will have the chance to blend your own wine that suits your palette. One of the sociable staff will assist you to bottle and cap your wine to take home with you as a souvenir of your visit to the Hunter Valley. You will enjoy an outstanding lunch at our own eatery/delicatessen. You will have the choice to select a light luncheon which consists of a selection of our popular White wine, Red wine or Beer, and food tasting plates. There is also a main course which includes a glass of beer or wine. We specialize in very small group tours; therefore, we can tailor any food and wine trips to suit your wants. Our tailored packages include some picturesque trips to the top of the hill, where we show you some of the most ancient grape vines in the world, locating that elusive bottle of wine, a tour of a winery you really want to visit, or locating for you some kangaroos to take those rare photographs. We pride in the way we locate our roo! It is a piece of the inventive idea that has enthralled Puerto Ricans and guests from around the globe. We offer you an agro tourism and culinary encounter in Hatillo. Come and appreciate ... morethe universe of fully matured cheese in Puerto Rico. 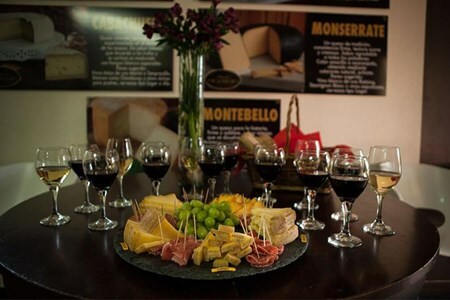 In the event that you are an admirer of cheese, most likely every time you land at a gathering you will go straightforwardly to assess the table of the picadera to ensure that they have what you like and after that you experience the bar, to make sure that there is great wine. And if you have an uncommon sense of taste, should realize that here in Puerto Rico there is a delicacy made with the ideal elements to give you a wonderful Gustazo that fulfills your wild desires. We will create one of our five assortments of cheeses. Our cheese-maker will choose the cheese formula you will set up that day. Amid the morning our cheese-maker will clarify the procedure of cheese and you will get the opportunity to observe the slicing of the curd. When creating your own cheese you can include flavors; we'll offer a variety of choices of herbs and flavors yet you can likewise come with some. A while afterwards we will show you how to blend and form the cheese. Afterwards you will sample some of our items and our cheeses matched with a glass of wine. Then in two months, when the cheese has matured we'll deliver it to you. You can appreciate it immediately when it arrives. Upon leaving your hotel, we head to the coffee farm via a road that is lined with forest cover consisting of pine trees and other endemic species. 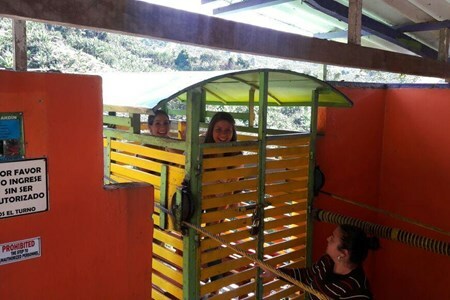 On our route, we will head through Antioquia, a small town where the local community has a reserved way of doing things eg. transporting goods on horses and mules. The road to the coffee farm is a tourism experience on its own and this is even before we arrive at the main attraction! At the farm, we are ushered by a charming couple who welcome us with an energizing cup of coffee to make us feel right at home. In fact, while at it, they will want us to sample at least four of their best varieties so that we can distinguish the various brewing methods. The high-quality brewing methods include Chemex, V60, Italian, and French Press. As you sip away, the couple will give you a brief history of Colombian coffee right before we begin an extensive tour around the farm. The first portion of the tour is a first-hand experience on how to pick the coffee beans. It is a learning experience like no other because the farmer guides us through the entire process. What is more is that he also gives us tips on how to effectively pick the beans, which is a task that can be accomplished by both men and women alike. Afterward, we get to weigh the coffee bags to see who picked the most. In this stage the skin is removed to expose the outer, slimy layer or skin of the coffee beans. Once they are separated, the next step is to have the fermentation process which is about 20 hours long, where they shed the slimy surface. Since the farmer already has some fermenting coffee beans, he will proceed to show us how they are dried in order to be processed. It is a crucial stage because it almost certainly guarantees the quality of the end product. This process is carried out in a Marquesina which is a greenhouse that retains and increases the heat inside to dry the beans much faster. The process should never last more than a week because in dry seasons it takes up to 5 days at most. All these are subjected to a temperature of 392 F which is approximately 220 degrees Celsius. Once they are roasted, the beans are then ground until they are fine and soluble, using a grinder or grinding machine. After this, it is packaged neatly for sale. Luckily, the farmer has a very fair price, and you can proceed to buy some from him. 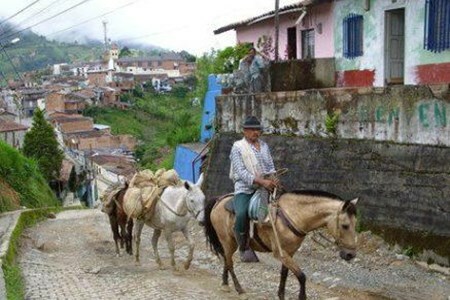 What About A Horseback Riding To Complement This Coffee Tour In Medellin? Another alternative to the coffee farm tour is the horseback riding. We can ride through pine forests, small streams, and wide open fields with unparalleled views. The horses are tame and the activity is safe even for amateurs and children. Both the coffee plantation tour and horseback riding is inclusive of a complimentary lunch which is wrapped in plantain leaves. The horseback riding is safe because safety measures have been put in place to guarantee this. There are two guides, with one at the back and the other at the front to ensure that your horse does not stray from the rest. Over the years, in over 200 rides, there has never been an accident, which is why it is important to adhere to the guide's instructions. The horseback ride is a 2-hour long activity after which it is time to head over to the hotel. This entire tour is a maximum 8-hours long where 2 hours is the entire period taken to travel from the hotel to these destinations. The other 6 hours are absolute bliss where you get to have a memorable experience. Wishing to visit a coffee plantation in a country with one of the finest coffees in the world? Well, our Coffee Plantation Tour allows you to visit both a coffee farm in the peak of ... morethe mountain with breathtaking vistas and also Jardin; one of the most charming towns in Colombia. This Coffee Plantation Tour in Jardin is ideal for those who; - like the idea of learning, hands-on persons, appreciate nature, love good food and charming and authentic towns. The tour starts in your location of accommodation where you’ll be collected by your guide at around 7 am. You’ll be transferred southwest to an area recognized as the coffee region of Antioquia. You may decide to have breakfast on your way, where a Colombian version tasty chicken pie can be picked for you. En route, you’ll be amazed by the lush vegetation and crops as you observe from the car. You’ll also come across Cerro Tusa: a massive pyramid, and one of the natural beauties you can observe on the road to Jardin. We’ll arrive at the coffee plantation, our first destination after 2.5 hours of driving. You’ll be hosted by the kindest coffee growers you can ever meet. The coffee growers will welcome you with a cup of coffee to mark the start of your journey through the coffee plantation. This coffee farm is renowned for its unique coffee and we are sure that the coffee you drink here is going to be at least in your top 3 excellent coffees you have ever tasted. Are you good at picking coffee? This hands-on experience in the coffee plantation gives you the opportunity to challenge your skill in coffee picking. Once you are done with coffee picking and you have gone through all the various stages of coffee production, it’s time to have a traditional finger licking lunch in the farm. We also offer an amazing horseback ride as an optional activity of the coffee plantation tour. These horseback rides will surely be one of the most exciting you will ever have; the experience offers scenic views and the trails are just ideal for horses. Afterward, we’ll leave this charming place and head down to Jardin: one of the top ten most lovely towns in Colombia. Jardin boasts of magnificent colonial architecture, flowered balconies, sociable locals and fresh coffee in the numerous shops in town, which makes it a favored destination. You’ll enjoy a guided walking tour of the town through its cobbled alleyways, and also visit the top landmarks. You’ll enjoy a rustic aerial car experience as we travel from one mountain to another. We’ll also tour Dulces del Jardin, the right place where you can buy exotic sweets to sweeten your mouth after lunch. After this adventurous tour of Jardin and walking around the various amazing locations, interacting with the warm locals and listening to its tales, we’ll head back to Medellin. On your way back, you can take a nap in our cozy cars if you wish to, feel free as we chauffeur you safely to your accommodation. This Coffee Plantation Tour is designed to give you an unforgettable experience, book through us and let us enjoy together. 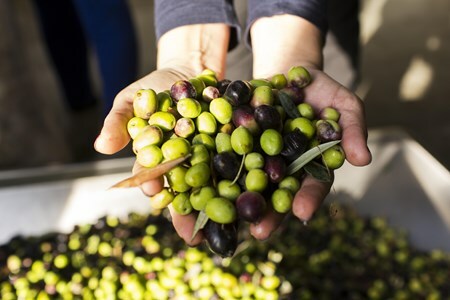 Discover with us the harvest of the fruit that produces olive oil. We will tour the olive estate in the center of the Douro Demarcated Region in Portugal and get an opportunity to ... moreclosely see the olive harvesting, partake in the harvesting process as you experience the local traditions and also taste the liquid gold - olive oil. The tour commences in Porto as we head east towards the Douro region. The olive trees here create a beautiful landscape that has been awarded the World Heritage status by UNESCO. This Douro region consistently produces olive oils with a concentrated aroma. On arriving at the Estate in Favaios, we visit the gardens and enjoy some Moscatel Wine as we head to the olive plantation for harvesting. Olive oil harvesting here is done using the traditional method known as “varejar” as the concertina is being played in the background. Afterwards, there is olive oil tasting paired with a traditional Douro lunch. We then take a guided visit to experience the complete winemaking process of the Moscatel wine and Port wine. On the way back we still have time to visit two beautiful viewpoints of the region to better understand the famous landscape. The tour finally ends as we return to Porto. Belguim isn't not only about its beers. Have you ever been curious about the world of cocktails and mixology?! If so, then this is the cocktail workshop for you. This mixology workshop ... morewill immerse you in a mix of theory and practice, where you will first get a theoretical base on strong drinks and cocktail making. Afterwards, you will have the opportunity to roll up your sleeves and shake some cocktails yourself, with a helping hand from our qualified mixologists. This 2-hour cocktail workshop normally consists of 4 drinks. 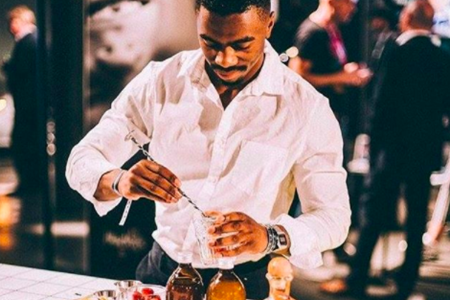 A cocktail workshop is great to combine with a dinner or a night out in Antwerp. Have you ever wanted to create your own wine? Well, now you have the chance! 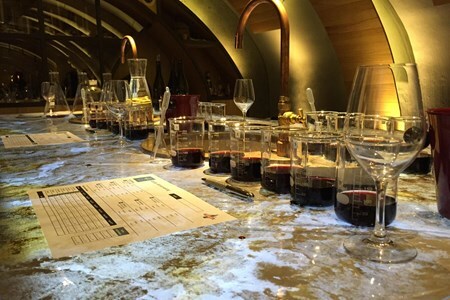 A 2 hour create your own wine workshop in the center of Paris. With the help of an expert winemaker, you’ll ... moreget to taste and pick the grape varieties you want in your wine, then blend, try, taste again, improve and ultimately create your very own wine. Once you have created your own unique and personal wine it's time to create a label to showcase your wines style! With our easy to use system, it’s a piece of cake. And a fun one too. You’ll leave this wine workshop experience with a bit of a buzz and the ultimate keepsake from your trip to Paris - your own wine. 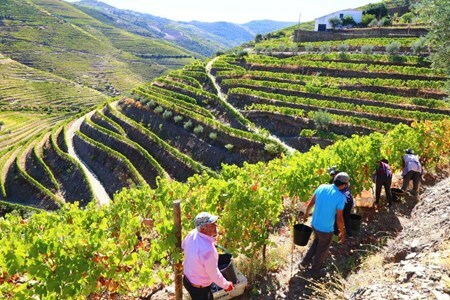 Visiting the Douro during the harvesting season is mind-blowing; you’ll love to explore this remarkable wine region. Upon arriving to the wine estate, you’ll be welcomed ... moreand handed a hat, tobacconist scarf, a bucket and a pair of cutting scissors. Here, you’ll enjoy some mid-morning snacks as you interact with the workers and have the opportunity to pick some grapes. All along, you’ll learn the history of wine in the region alongside some secrets of making a unique flavored local wine. The lunch will be served around in the middle of the vineyards; a perfect local cuisine consisting of fish, soup, and some fruits. You’ll love the traditional portuguese food. Later, the tour is scheduled for a wine tasting session of port and table wines. You will be invited into the huge wine tank where, with the master, you will be able to tread the grapes alongside the rest of the workers. It’s adventurous! 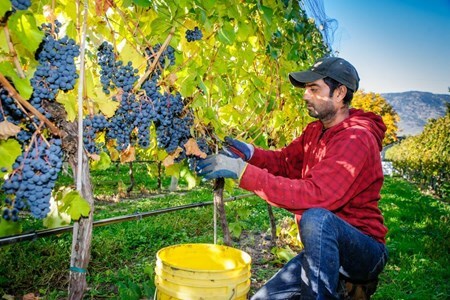 It’s amazing to learn that people actually don their shorts and bare their feet when treading grapes. By now, you’ll have hooked up with a few of the workers. Hence, you’ll learn a few things about the Douro people, culture, and tradition. Later, you’ll give farewell to your new-found friends and end the trip!